(SG), the small forward (SF), the power forward (PF), and the center (C). A combo guard is a basketball player who combines the attributes of a point guard (1) and shooting guard (2), but does not necessarily fit the standard description of either position. Such guards are usually within the 6' 2" (1.88 m) and 6' 4" (1.93 m) height range. Most combo guards tend to be between point and shooting guards in terms of height, although some possess the height of a point or shooting guard specifically which affects how each plays. Combo guards became prominent in the 1990s, when players such as Allen Iverson and Penny Hardaway were switched between playing point guard and shooting guard, depending on offensive and defensive situations. Combo guards use their ball-handling skills to bring the ball up the court and set up teammates, while also having the ability to shoot well. The best combo guards use their "in-between" height and athleticism to their own advantage: smaller point guards will use speed and agility to run past bigger players, while bigger shooting guards will shoot over the top of smaller players with their jump shots. Historically, combo guards have been viewed as difficult for coaches to fit into an offensive system; however, combo guards have more recently become an important part of basketball, especially in the NBA. Dwyane Wade, a shooting guard with point-guard-like ball handling, led the Miami Heat to their first-ever NBA Championship in 2006, and won the Finals MVP award for the same championship series. In addition, the shift in the sport from a fundamental-driven style of play to a more scoring-oriented one means that the inferior passing ability of such guards is not viewed as a serious detriment. This shift is in part explained by hand-checking rules instituted by the NBA in 2007, which makes it a foul for a defender to use his hands to impede an offensive player. This allowed many smaller, weaker combo guards to use their speed to drive around stronger, taller players. In fact, many shorter young players (6' 2" or shorter) focus on developing their scoring abilities, whereas previously they would have to be proper point guards with the innate ability to pass to succeed in the professional leagues. For example on that end, Allen Iverson is 6' 0" (1.83 m) tall, but given his shoot-first mentality, despite his exceptional ball-handling skills, he started playing as a shooting guard. 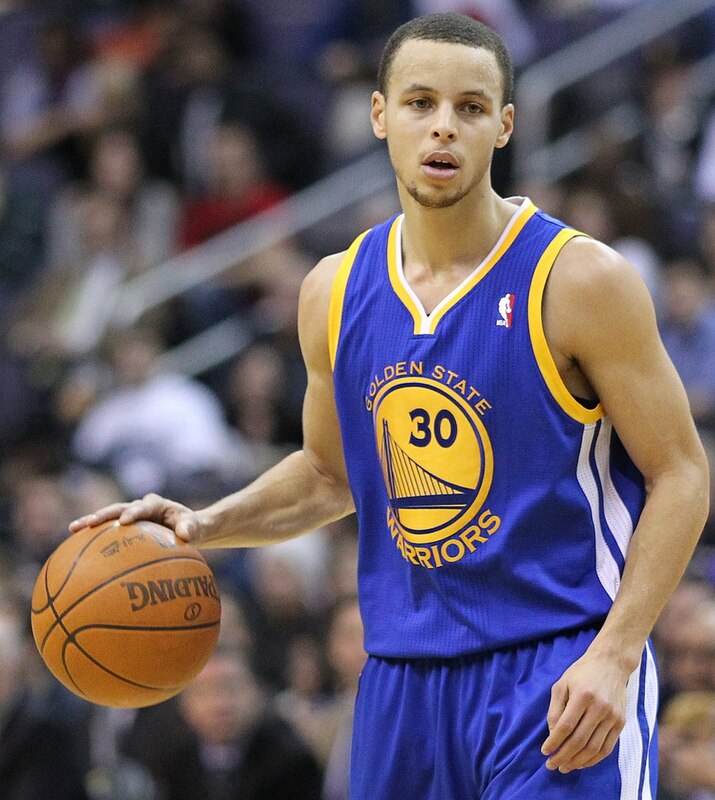 He was rated as the fifth-greatest shooting guard of all time by ESPN in 2008. Other examples of combo guards are Jerry West, Jason Terry, Monta Ellis, Goran Dragic, Lou Williams, Juan Carlos Navarro, Avery Bradley, Marcus Smart, Victor Oladipo, Zach LaVine, Joe Dumars, and Jeff Hornacek. This is in contrast to "true" (or "pure") point guards such as Magic Johnson, John Stockton, Isiah Thomas, Steve Nash, Jason Kidd, Chris Paul, Rajon Rondo, John Wall, Kevin Johnson and Ricky Rubio. These players exhibit a pass-first mentality, value assists and steals over points, and embrace the responsibility of playmaker rather than finisher. They conform to the perception that a point guard's duties are to direct the offense, distribute the ball, create scoring opportunities for others, and attempt the shot only if there are no open teammates to be found. Some players, for example James Harden, Devin Booker, Manu Ginóbili, Tyreke Evans, Shaun Livingston, Jordan Clarkson, Jamal Crawford, Greivis Vasquez, and Rodney Stuckey, have the requisite size for a shooting guard (6' 5" or taller), but due to their above-average ball-handling and playmaking ability, are used as combo guards or even as swingmen. In the Euroleague, the most notable examples are Vassilis Spanoulis, who has led his team to 3 Euroleague championships, and Sergio Llull, who has led Real Madrid to win Euroleague last season (2015) and nearly joined Houston Rockets that year before signing renewal with his lifelong team. Other examples include American-born Macedonian player, Lester "Bo" McCalebb. FIBA EuroStars was an annual event, organized by FIBA Europe, as a showcase basketball game, from the 1996–97 season, until the 1999–00 season. Commonly considered as the European equivalent of the NBA All-Star Game, the FIBA EuroStars game featured the season's best players, from both the European-wide top-tier level EuroLeague, and the European-wide 2nd-tier level FIBA Saporta Cup. Diversity was also paramount in the selection process, which aimed at allowing several different European basketball schools to be represented. FIBA EuroStars was the replacement All-European Team selection and all-star game of the original FIBA Festival (1964–1995). Isaiah Jamar Thomas (born February 7, 1989) is an American professional basketball player for the Denver Nuggets of the National Basketball Association (NBA). The 5-foot-9-inch (1.75 m) point guard played three years of college basketball for the Washington Huskies and was a three-time all-conference selection in the Pac-10. After electing to forgo his senior year in college, Thomas was selected by the Sacramento Kings with the final pick in the 2011 NBA draft. He spent three seasons with the Kings before joining the Phoenix Suns in 2014. Thomas was traded to the Boston Celtics in February 2015 and went on to earn NBA All-Star nods in 2016 and 2017, as well as All-NBA Team honors in 2017 after leading the Celtics to the first seed in the Eastern Conference. In August 2017, he was dealt to the Cleveland Cavaliers, who traded him midseason to the Los Angeles Lakers. Joe Dumars III (born May 24, 1963) is an American former basketball player in the National Basketball Association. He could play either shooting guard or point guard on offense and was a highly effective defender. He played for the Detroit Pistons from 1985 until 1999. During the late 1980s and early 1990s, Dumars and Isiah Thomas combined to form one of the best backcourts in NBA history. Initially a shooting guard, Dumars moved to point guard following Thomas' retirement in 1994, sharing ball-handling duties with Grant Hill. Dumars was inducted into the Basketball Hall of Fame in 2006. Dumars served as the President of Basketball Operations for the Detroit Pistons from 2000 to 2014. The Nike Hoop Summit is an international men's basketball all-star game sponsored by Nike, held once a year since 1995, except from 2001-2003, which features the USA Basketball Men's Junior Select Team against a World Select Team of international players. The players demonstrate their skills and hope to attract attention from either NBA scouts or colleges. A number of current NBA players have participated in this event in the past. In the 2010 edition of the event, Enes Kanter scored 34 points and surpassed the event's record of 33 points set by Dirk Nowitzki in 1998. Bismack Biyombo recorded the first triple-double in Hoop Summit history in 2011 with 12 points, 11 rebounds, and 10 blocks. In 2012, Shabazz Muhammad scored 35 points to break Enes Kanter's Hoop Summit scoring record.13 players, all members of the World Team have been selected to play in two Hoop Summits: Jovo Stanojević (1995 & 1996), Alexandre Bachminov (1996 & 1997), Matthew Nielsen (1997 & 1998), Antonis Fotsis, (1998 & 1999), Boštjan Nachbar (1999 & 2000), Olumide Oyedeji (1999 & 2000), Alexis Ajinça (2007 & 2008), Dario Šarić (2011 & 2012), Andrew Wiggins (2012 & 2013), Karl-Anthony Towns (2013 & 2014), Jamal Murray (2014 & 2015), Thon Maker (2015 & 2016), and R. J. Barrett (2017 & 2018). Although it previously rotated American cities, the event has been hosted in Portland, Oregon since 2008. Raymond Bernard Felton, Jr. (born June 26, 1984) is an American professional basketball player for the Oklahoma City Thunder of the National Basketball Association (NBA). Felton played college basketball for the University of North Carolina under head coach Roy Williams. At North Carolina, Felton led the Tar Heels to a national championship before declaring for the NBA draft. Felton was drafted fifth overall in the 2005 NBA draft. Over his career, Felton has been a member of the Charlotte Bobcats, New York Knicks (twice), Denver Nuggets, Portland Trail Blazers, Dallas Mavericks and Los Angeles Clippers. He plays the point guard position. The Robert V. Geasey Trophy is awarded to the most outstanding basketball player in the Philadelphia Big 5, an informal association of college athletic programs in Philadelphia, Pennsylvania, United States. It is not an MVP award and does not represent the entire regular season's most valuable player; the award goes simply to the best basketball player for Big 5 games played that season. It has been given since 1956 and is granted by the Herb Good Basketball Club. Members of the Philadelphia Big 5 are La Salle University, the University of Pennsylvania, Saint Joseph's University, Temple University and Villanova University. The Sacramento Kings is an American professional basketball team based in Sacramento, California. They play in the Pacific Division of the Western Conference in the National Basketball Association (NBA). They began as the Rochester Royals (based in Rochester, New York) in the Basketball Association of America (forerunner of the NBA) in 1948. The Royals moved to Cincinnati, Ohio in 1957. In 1972, the team moved again, to a primary home in Kansas City, Missouri (and a secondary home in Omaha, Nebraska) and were renamed as the Kansas City-Omaha Kings. The Kings moved to its current home in Sacramento, California in 1985. This article is a list of players, both past and present, who have appeared at least in one game. In basketball, a turnover occurs when a team loses possession of the ball to the opposing team before a player takes a shot at their team's basket. This can result from the ball being stolen, the player making mistakes such as stepping out of bounds, illegal screen, a double dribble, having a pass intercepted, throwing the ball out of bounds, three-second violation, five-second violation, or committing an error such as traveling, a shot clock violation, palming, a backcourt violation, or committing an offensive foul. A technical foul against a team that is in possession of the ball is a blatant example of a turnover, because the opponent is awarded a free throw in addition to possession of the ball. Some players are prone to turnovers because of having poor court vision or making mental mistakes. Also, many superstars average more turnovers than anybody on their team as they will often be handling the ball. A point guard may often have the most turnovers because they are usually the player that possesses the ball most for their respective team. According to Boston Globe sportswriter Bob Ryan, the concept of the turnover was first formulated by his colleague Jack Barry. Turnovers were first officially recorded in the NBA during the 1977–78 season and ABA during the 1967–68 season.